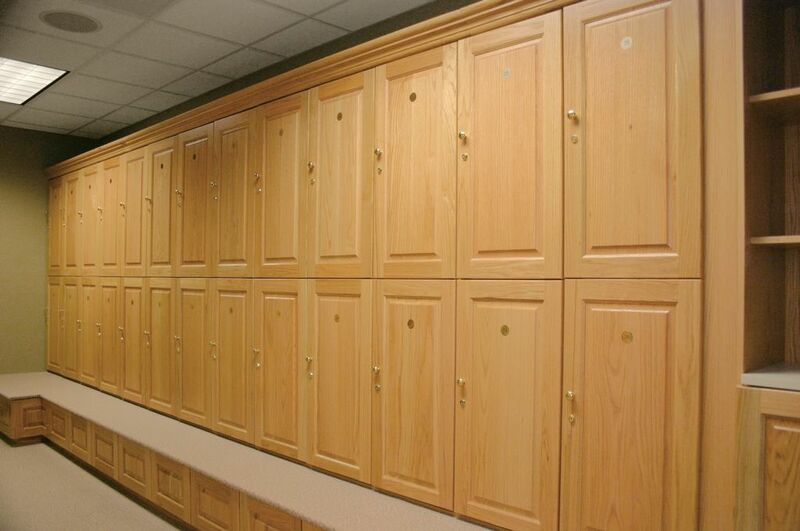 Well-crafted custom lockers add sophistication, beauty and style to most any facility. However, quality craftsmanship is about more than simply eye-catching aesthetics; fine craftsmanship also ensures increased functionality and durability. Type of woods used. High-quality custom wood lockers can be made of one of three types of wood: hard, soft or engineered. Hard woods like oak and maple are heavy, strong and give lockers a strong, durable quality, particularly when cut and treated properly. Exotic woods add an air of sophistication and uniqueness while providing strength and sturdiness. Softer woods like pine and cedar require more care, while engineered woods like plywood can provide sturdy quality, provided high-quality veneers are used. No chips, dents and splits. Quality custom lockers are beautifully treated and are free of chips, dents, splits, knots, or any other imperfections that could compromise the integrity of the locker, or that would cause the custom wood lockers to weaken or become damaged. Hardware quality. What are quality custom lockers without quality hardware? From the hinges and the handles to the bolts and the locking mechanisms, quality-crafted lockers are created with the right hardware to perfectly suit the installation. Locking mechanisms are particularly important, as quality craftsmanship includes fitting a locker with safety and security features that will keep the piece intact. Smoothness of cuts. Each panel of wood, each shelf, and each door should be perfectly cut according to the dimensions supplied by the client, and the cuts should be consistent, clean and accurately measured every time. How smoothly a wood panel is cut determines how clean and smooth the overall look of the custom lockers will be. Wood finish. Whether it requires a smooth, glossy finish or a distressed, antique look, quality craftsmanship is seen almost immediately in the finished product. Proper sanding, staining and finishing are essential to create quality custom wood lockers that showcase the wood as much as they showcase the entire piece itself. Legacy Lockers employs the highest quality craftsmanship when creating custom lockers for a variety of applications. 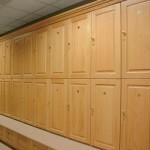 To learn more about high-quality custom wood lockers, visit www.legacylockers.com today.